When Lusaso Ngcobo (23) met Mthoko Mkhathini (23) in a dancing group they never imagined that years later they’d be the opening act for international rap stars Kendrick Lamar and Big Sean. However, as the group’s name suggests, Lusaso, better known as Saso; Mthoko, aka Dash; and 30-year-old Trevor Sineke, also called Trey always dreamed of making a career out of their passion. 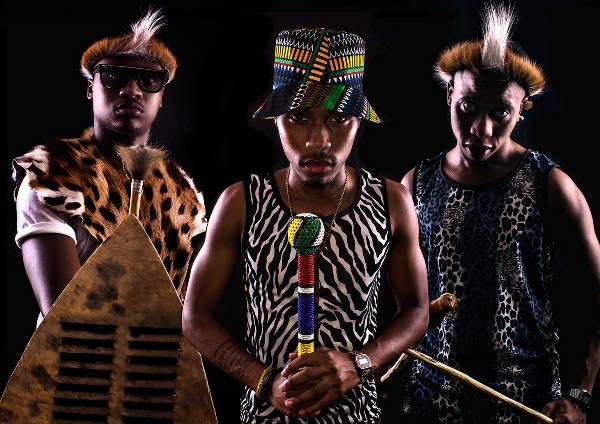 After years of hustling, the Durban-based group released a mixtape, The Blow Up, in March 2014. It definitely lived up to its name – the album has been downloaded 12 000 times in two months and the single Ask Enibhadi has received continuous play on radio stations nationwide while the smash hit Tsekede continues to enjoy repeated airtime on MTV Base. The main reason behind DreamTeam is to help each other reach greater heights while forming a brotherhood. Our motto is: “Teamwork makes the dream work”. Our first gig was a club event: we performed at a popular spot in Durban called De La Sol. The crowd response was positive, which really excited us because our music was barely known then. When weheard the beatfor Tsekede weknew then andthere that we wereon to something! Bythe time we finishedrecording the song wecouldn’t stop listeningto it. Every person wemade listen to it,loved it immediately! We performed at Gagasi FM’s Youth Hip Hop Festival; it was epic! The crowd loved us and we really appreciate the Durban support. We’ve had quite a few achievements – our collaboration with Ihashi Elimhlophe, performing at the Metro FM Awards, opening for Kendrick Lamar and Big Sean, and we also opened for (American rapper) Wale last December. We started the year at number 9 on the New Year’s countdown top 100 songs of 2013 on Ukhozi FM and Metro FM. Our début album is set to drop in July or August. We’re also releasing videos for Phambili featuring Ihashi Elimhlophe and Izass. We’d like to do our own events and DreamTeam merchandise. If you were to invite someone to dinner, who would it be? Saso: Shawn Carter (better known as Jay Z). Club 808 or Live Amp?